"One hundred per cent, he's getting knocked out. It's not going to points, no way." Kash Ali vowed to send David Price into retirement after sharpening his skills in past sparring sessions with Anthony Joshua and Dillian Whyte. 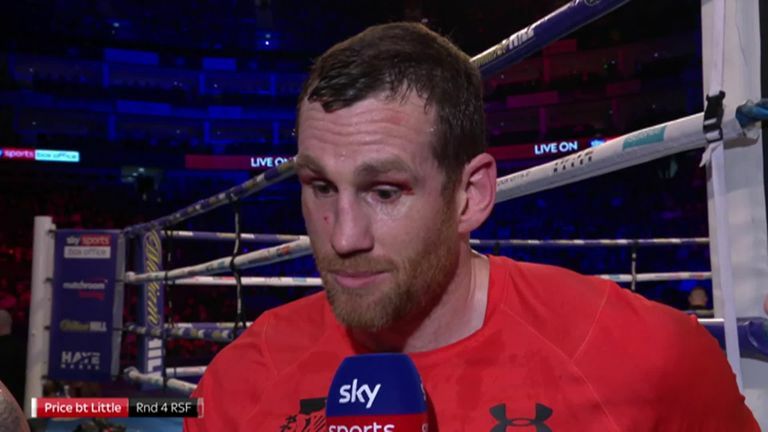 The Midlands man has revealed how he was plucked from obscurity to face Price on the undercard for Liam Smith's super-welterweight showdown with Sam Eggington in Liverpool on March 30, live on Sky Sports. After 14 straight victories, Ali is eager to burst onto the British scene, and predicted a dramatic upset win in Price's hometown. "I just jumped on it and said 'Yes, I'll do that' straight away," Ali told Sky Sports. "This is my chance to show people what I'm about really. "It's a great opportunity to show my skills, and show that I'm a real contender. "People talk about him being a puncher, but I believe I am as well, so it's going to be interesting. "One hundred per cent, he's getting knocked out. It's not going to points, no way. I'm younger, I'm fresher. I'm made for this." Price returned with a December stoppage win over Tom Little following back-to-back defeats to Alexander Povetkin and Sergey Kuzmin last year. But Ali believes the 35-year-old will be forced to abandon his lingering ambitions in the sport. "This is my time to show all the boxing people that I'm not here to mess about," he said. "Beating someone like David will put me straight in the mix. People at the top of the game should watch out." Asked if Price's career is on the line, Ali added: "Yeah for David clearly this is. If he loses to me, that's it, which he will. I think he should pack it in after that." The Merseysider has voiced his respect after he sparred with Ali, who has also traded punches in training with unified world champion Joshua, former title holder Tyson Fury, and top contender Whyte. Joshua is physically a big, strong man, but I think it was a good spar. He was impressed and I took a lot from it. "I sparred with Joshua when he fought Takam, it was amazing," said Ali. "Joshua is physically a big, strong man, but I think it was a good spar. He was impressed and I took a lot from it. "The most rounds I've done are with Dillian Whyte. I've sparred him since he fought Joshua in the first fight. "Like all the guys, I've become good friends with Dillian. He's always helping me. We both know what we're going to bring when we're sparring."